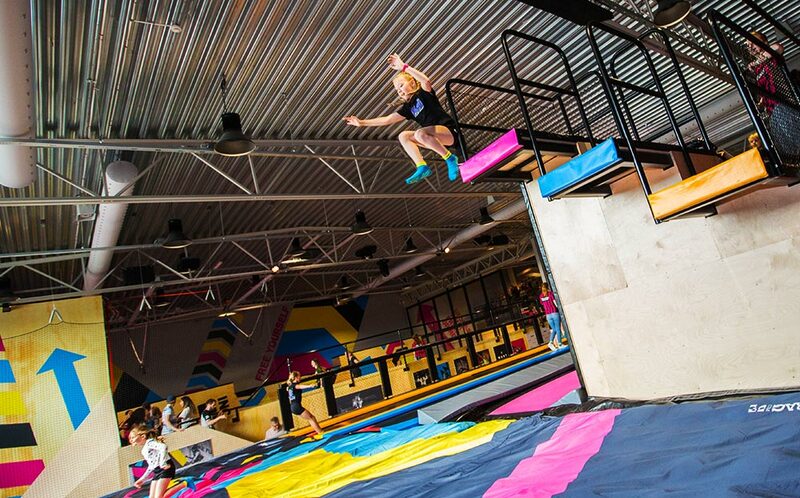 Cliff Jump at BOUNCE is basically launching yourself off the balcony onto a giant air bag below. It’s an awesome adrenaline rush that gets the heart racing and doesn’t require much skill to enjoy. The tribe will show you how it’s done.